"Set on its own hilltop on over 8 acres, behind private gates, this one-of-a-kind architectural masterpiece offers stunning panoramic views, extraordinary craftsmanship, and a stylistic confluence of modernity and sophistication that redefines all expectations. The prestigious residence, with its perfectly-conceived architecture, represents both majesty and family. Oversized 6 car garage. Six bedrooms (or 5 bedrooms plus hobby room), 6 baths. Upstairs billiard, office or hobby room. Large downstairs bedroom with bath perfect for guests. The master quarters indulge the owner with dramatic views of the majestic hills,expansive viewing balcony, an resort style pebble tech pool, recreation room, this is one of the most unique properties to grace the pastoral paradise of Santa Rosa Valley." "Old World Grandeur, Uncompromising luxury. Electronically gated private drive. Extra-large kit boasts granite counter-tops, huge eat-in kitchen with fireplace and wine bar w/wine coolers. Stainless steel appliances including refrigerator,3 dishwasher drawers,2 refrigerator drawers. Dedicated theatre/media room complete with a professional screen. Grand formal entry w/stunning wrought iron staircase accenting slab granite staircase steps. Dining room w/gleaming flooring. Family room features a entertainment size wet bar. Enormous master w/2 enormous walk-in closets and fireplace. Secondary bedrooms adjacent private baths and a full walk-in closet. There is a teen room for homework and informal play area that features surround sound speakers.2 story world class executive library/office 6 car tandem garage.Gorgeous"
"Dreams are imagined in this Santa Rosa Valley single level home. Featuring over 5200 + sq. ft. (Per assessor) with 5 bedrooms, plus loft in attached guest house, barn and horse arena. This private estate is distinctive and elegant with features everywhere that include many skylights, vaulted wood ceilings, 15th-century doors, an 18th-century bar with stained glass, three fireplaces, a sunroom, and a great room. The kitchen has a French country style to it with its coffered ceiling and top of the line appliances. The formal dining room boasts a bay window that looks over the spectacular views of your backyard. There are two luxurious master bedrooms w/en-suite spa-like bathrooms with Carrera marble as well as ample space for relaxation. 2 additional nice sized secondary bedrooms and a desired guest house newly remodeled. Impeccable attention to details throughout adds elegance, warmth and richness. The outback has lush landscaping with multiple covered areas including a summer kitchen with built-in barbecue, and a wood-burning pizza oven. There is ample space for entertaining along side the beach entry pool, spa, and sports court. It also features an orchard with tangerine, citrus, grapefruit, and avocado trees." "Mediterranean romance mingled w/Californian magic in this incomparable equestrian estate situated in exclusive gated Hidden Meadows Estates. Stunning home sits back from the street allowing visitors to pass the regulation tennis court on their way to the grande front entrance.Chef's dream kitchen with professional grade stainless steel appliances.Above the custom Wolf range there is a pot filler. There is a large island with a sink, loads of storage & workspace.The master suite is set apart from the children's wing, with floor to ceiling windows, beautifully crafted wood beamed rafters, and lovely stacked stone fireplace. The suite includes a private patio overlooking the rear grounds.There are multiple living spaces to enjoy on both levels, including the open-concept formal living room with fireplace, spacious family room with wet-bar and fireplace, plus an upstairs bonus room that could be used as a teenagers' retreat, a home gym or a fifth bedroom depending on your needs.Resort styled rear yard is an entertainment paradise that features a swimming pool,spa & built-in state of the art outdoor kitchen area offering an outdoor Fire magic stainless steel barbecue. Neighborhood offers residents a close by community arena equestrian center and playground." "Located in the gated Rancho Rosita Estates, this rare and private stunning one-story custom-built estate. Glass front entry doors welcome you into the large entry providing natural light creating an ambiance that can't be rivaled by artificial light sources. Gourmet island kitchen serves as a glamorous centerpiece for family fun and entertaining. Features of gourmet island kitchen include marble flooring, plentiful granite counter space, built-in Sub-Zero refrigerator/freezer, Wolf double convection oven, Miele dishwasher, and Wolf electric range. The formal living room with natural lighting features floor to ceiling rock faced fireplace, light pecan natural hardwood flooring, volume ceilings with expensive glass windows. Large master bedroom suite has volume ceiling, huge closet & Luxurious master bathroom suite with a Roman tub, dual toilet area, incredible shower with dual showerheads and secondary bedrooms each has custom appointments. Professionally landscaped grounds with professionally designed Koi pond with water features. Additional Smaller turtle pond with small waterfall. Raised vegetable garden ﬁnished with ﬂagstone. Multiple raised planters. Flagstone and concrete walkways lead you through enchanting bamboo forest. Extra deep 3 car garage"
"Absolutely stunning single story, with 4 bedrooms plus 3.5 baths, at the top of the hill with amazing views. As you enter into the home, your amazing with the high ceilings and newer Porcelain tile floors (which look like Hardwood) but are durable and water resistant like tile! The panoramic views off the putting green and tropical flowers brings a feeling of warmth and relaxation. This home has it all, 3 car garage, large open floor plan and larger then normal bedrooms. The lot is flat and over an acre with yards all around you, and amazing views from every corner! Fruit trees and tropical flowers enhance the finally maintained back yard, with a large Gazebo to enjoy the sunsets. Every bathroom has been updated and the kitchen is like new, with Quartz counter tops, custom slow close cabinets and a huge island with all newer appliances too. Dual HVAC for both wings of this estate, with French doors and energy efficient LED lights throughout the home. This is a home for life. You just arrived home! 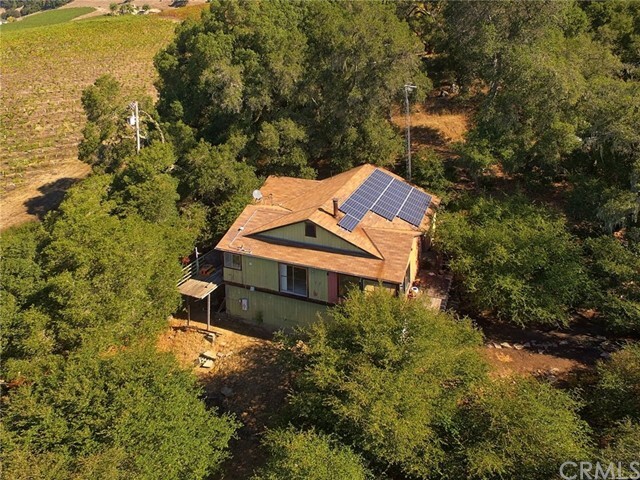 Perched high above the Santa Rosa Valley, an acre of beautiful views! Quaint, quiet surroundings, with a large 6 hole undulating putting green with remote control lighting and surrounded by beautiful trees and exotic plants. It's breathtaking!" "Exquisitely positioned in pastoral Santa Rosa Valley, rests this tranquil equestrian zoned EuropeanEstate. 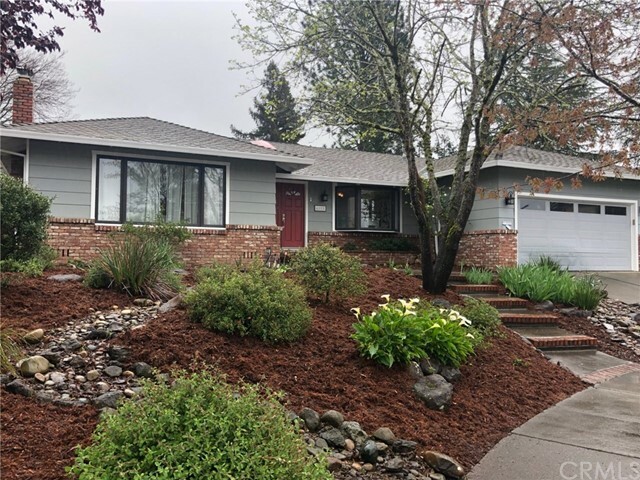 This home features gardens, and waterfall and a 350 yard trail rising above the valley offeringspectacular views and seating areas looking towards the northern flank of Wildwood Park view points.The tree lined upper acre provides an open canvas to create gardens or gently grade for horsefacilities. Grand-scale interiors, a soaring 2-story foyer and exquisite finishes. Formal dining roomand living room off the main entry each have a fireplace and views of the backyard. Alarge chef's kitchen with pecan cabinetry, high end granite counters, double ovens is conveniently located adjacent to the family& breakfast rooms and formal dining room as well as outdoor dining areas. The Master bedroom has a fireplace, lovely summer breezes through the room and an updated master bath and walk in shower. Adjacent to the Master bedroom is a day use room that is over 700 sq. ft. additional space in addition to the 4038 sq. ft. of this lovely home.4 1/2 car garage allowing room for a golf cart. Covered RV or boat parking on pad behind garage. Award winning SRTMS school." "Charming and unique 5-bedroom home nestled at the end of a quiet cul-de-sac. Enjoy beautiful views of mature landscape and the Mark West Creek right from your backyard. Enter into a bright, airy living room with vaulted ceilings, and cozy fireplace. Kitchen features stainless appliances, granite counters, Subway tile backsplash and plenty of cabinet space. Spacious master-suite highlights vaulted ceilings, walk-in closet, dual sinks, separate tub and shower. 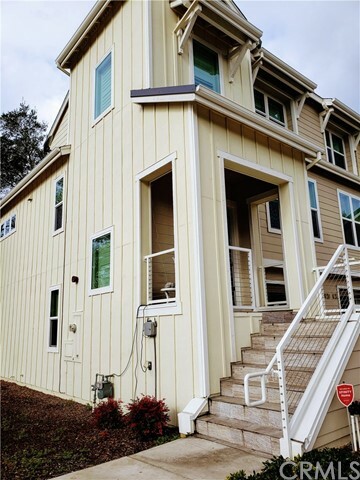 Neighborhoods: Larkfield/Wikiup Equipment: Dryer, Range/Oven, Washer Other Fees: 0 Sewer: Sewer Available, Sewer Connected Topography: LL"
"Newer 2016 Built, Beautifully Designed Home features: 3 Beds/3 Baths, 1 Car Tandem-Attached Garage with extra storage space & 2 remotes. Located in the desired Rincon Valley Unified School District: Whited Elementary, Rincon Valley Middle School, M. Carrillo High School, Santa Rosa Jr. College, Sonoma State University. Main entrance leads to 2nd Level Open Concept: Living Room, Dining & Kitchen with Chocolate Cabinetry-contrasts gorgeous White Granite & Dark-Tone Counters/Breakfast Bar. Stainless Steel Appliances: Gas Range/Oven, Dishwasher, Microwave. Large Farm-Style Sink, faces large picture window w/high-end roll-up shades. White Vinyl, wide-plank plantation shutters on Tinted Double-paned windows & high baseboards. 2nd Level also has Coat Closet, plus 1 bedroom & 1 bathroom. Laundry Room is located upstairs at 3rd Level, near Master Bedroom w/ensuite bathroom, Double-sinks, Large Shower & Tub w/Walk-in Closet. Lower, 1st Level has a 3rd Bedroom & ensuite bathroom. There is an exit with custom Sliding Doors to 8' fenced small rear yard, with room for your very own Herbal/Floral gardens, also enough space for BBQ & patio furniture, and/or a small pet. This Lower, 1st Level also has direct Garage access/exit. All bedrooms have Ceiling Fan capabilities. All bathrooms w/Exhaust Fan auto shut-off. Tankless Water Heater, Home Security Alarm system with Cameras. Nearby: Starbucks, McDonalds, Oliver's Market, Pawsarotti's Pet Store. Gateway to Sonoma Wine Country & Russian River!" "Welcome to this gorgeous two bedroom, two bathroom, end-unit, townhouse style condo located in the heart of the Oakmont Community! This beautiful home features a fantastic open layout with a large living area complimented by a fireplace and views of the mountains! Spacious kitchen that opens to the dining area / living space which makes a perfect environment for entertaining. Oversized bedrooms. Front and Back Patios are perfect for enjoying views of the mountains and relaxation while listening to the sounds of nature! Inside Washer and Dryer. Attached garage with extra storage space or room for a golf cart. Guest parking directly across from the unit. Do not miss this wonderful opportunity to call 31 Oak Forest Place your home!"